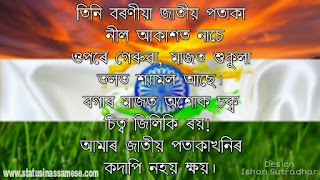 Happy Independence Day Wishes In Assamese Status For Fcebook ,WhatsApp. ১৫ আগষ্ট...স্বাধীনতা দিৱস! 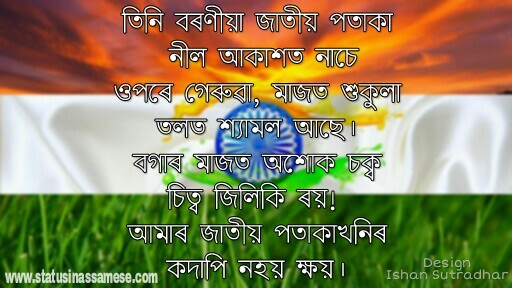 Kobita Assamese Status For Fcebook Happy Independence Day Wishes In Assamese WhatsApp.